Today, March 14, or 3.14, many schools and other mathematically-inclined people are celebrating pi day. 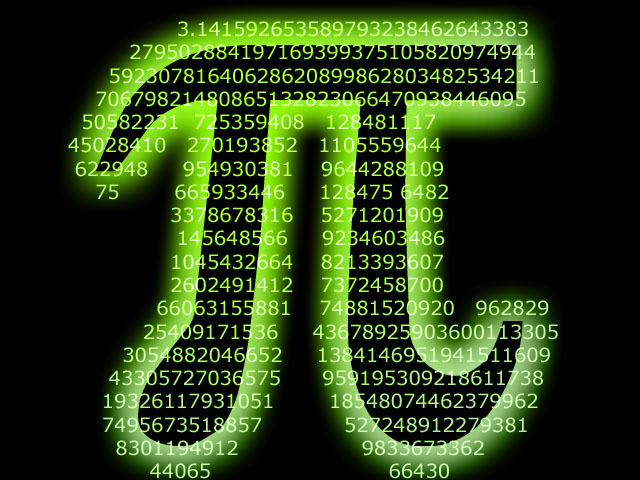 Pi is a mathematical value whose dates history back to 1900 BC! In honor of the event, you might want to learn the pi song. If singing it is not enough, you can watch the video (a rather bizarre parody of Zoom). Or just gaze at the first million digits.... Also, everyone's birthday is allegedly somewhere in pi's repeating digits... want to find yours? One researcher even lets you set pi to music?! Even writers cannot resist the temptation of this irrational number. Read Cadaeic Cadenza and learn how this story is pi-related. Finally, you could check out this pi merchandise. Imagine the party on March 14, 2015! I teach science and technology to kids. I aim to encourage curiosity, creativity, and passion for learning. Simple theme. Theme images by Silberkorn. Powered by Blogger.